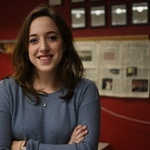 Hannah Natanson is the Managing Editor for the 145th guard. 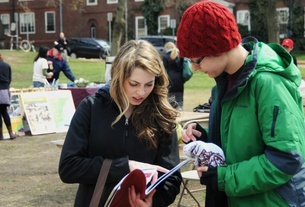 She can be reached at hannah.natanson@thecrimson.com. Follow her on Twitter @hannah_natanson. The story hit like a slap, but the after-burn lasted for days. I didn’t talk about it. None of us did. A pro-unionization poster hangs taped to a campus postering board on the first day of voting in Harvard's second unionization election. Students file into Queen's Head Pub to cast their ballots during Harvard's second unionization election. Doors conceal the line of voters inside the Queen's Head Pub during the first day of voting in Harvard's second unionization election. The 15-member search committee is currently winnowing a list of under 20 candidates and will pare it down further in coming weeks, according to individuals close to the search. Harvard could be prevented from enforcing its sanctions on members of single-gender social groups under a measure included in amended legislation proposed by Republicans in the House of Representatives. Khurana said he is aware students may be confused about the policy and that he hopes to clear up the uncertainty as soon as possible. Thirteen Corporation members jetted into Cambridge, stepped into sleek black cars, and were chauffeured to Loeb House to vote to maintain Harvard’s penalties. The College’s penalties on members of single-gender final clubs and Greek organizations will remain in effect after the Harvard Corporation voted to keep the policy unchanged on Monday. 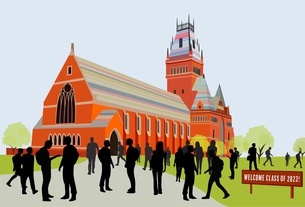 Harvard’s next president will likely keep the College’s penalties on members of single-gender social groups largely unaltered, William F. Lee ’72 said last week. The grant will last for 15 years and provide financial assistance for up to 2,300 Harvard students who want to participate in public service programs. ​Dozens of students, alumni, and professors gathered to honor the life of Alexander H. Patel ’17 -’18, a Harvard senior from Denver, Colorado. For now at least, what some consider Khurana’s signature initiative as Dean of the College is safe. The Ad Board also placed 22 total students on probation in 2016–2017—13 of them for social behavior including drugs, alcohol, and sexual activity. ​Harvard will hold a memorial service Nov. 8 to honor Alexander H. Patel ’17-'18, a senior who died in late October in a loss “felt deeply” by students and professors.